I was wandering in St Pancras station today. Wandering is a greatly under-estimated pastime which brings you in to contact with all sorts of interesting people and places. 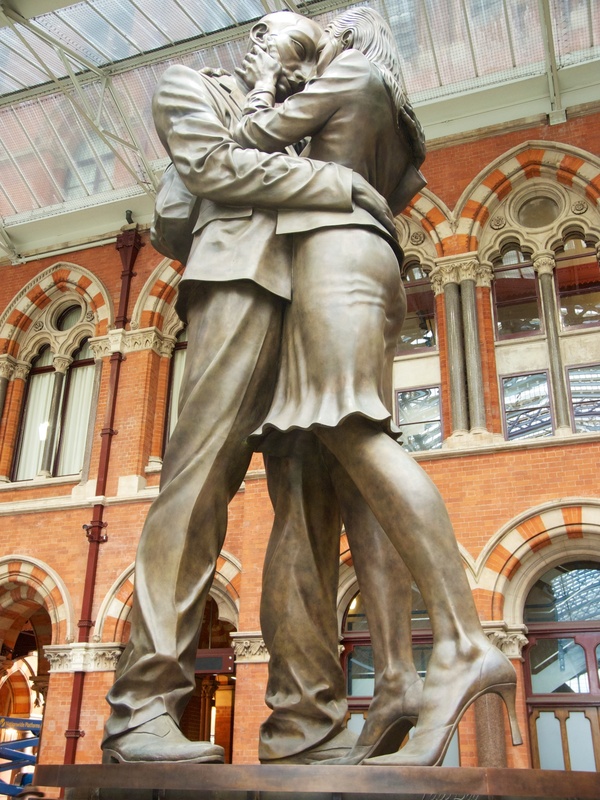 Anyway, today I came across a huge bronze of a couple of saying goodbye which is on the upper concourse level. 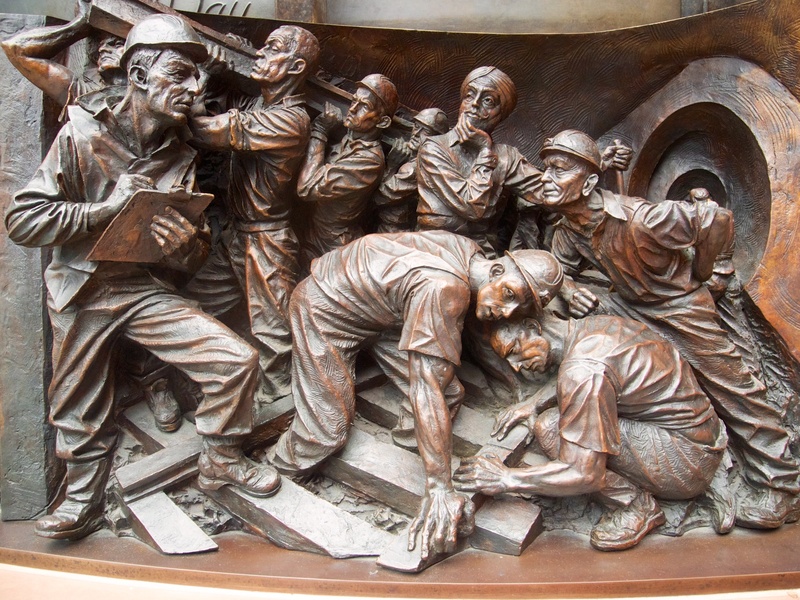 I’m not sure that I much like the main sculpture but around the base are a series of bronze reliefs which I liked very much indeed. I have a couple of the individual reliefs below. The first, showing wounded men coming home from war is of course particularly poignant this week, leading up to Remembrance Day. 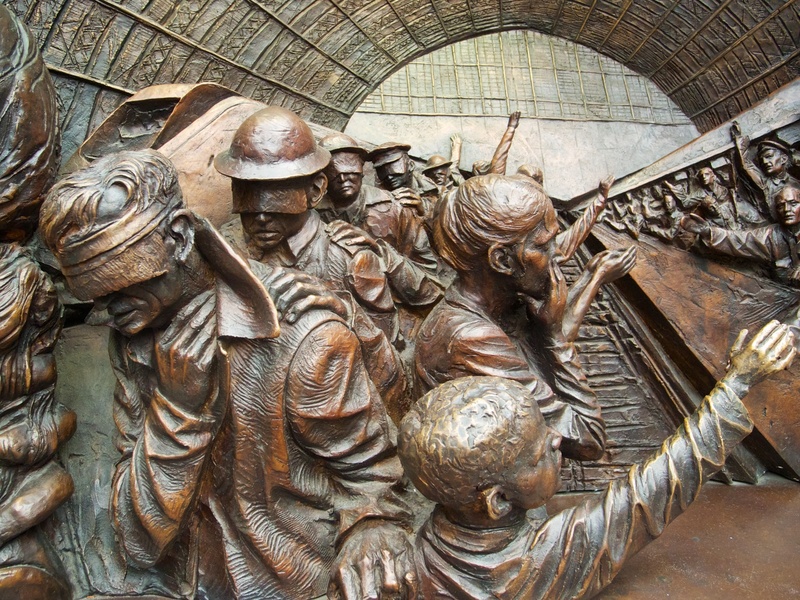 Posted in Art, England, Photography and tagged Farewell, Remembrance Day, St Pancras. Bookmark the permalink.